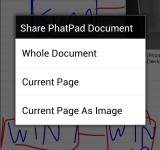 PhatPad 1.0 for Android is the latest in a long line of Note taking & organising applications delivered to the market by PhatWare. 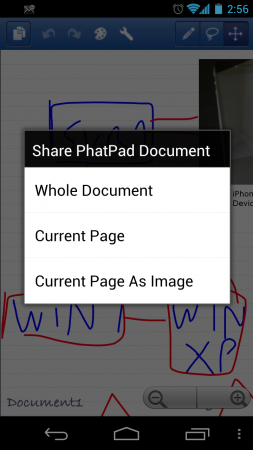 PhatWare have previously release the PhatPad application for Windows, and iPad, and have now brought the application to the Android OS. 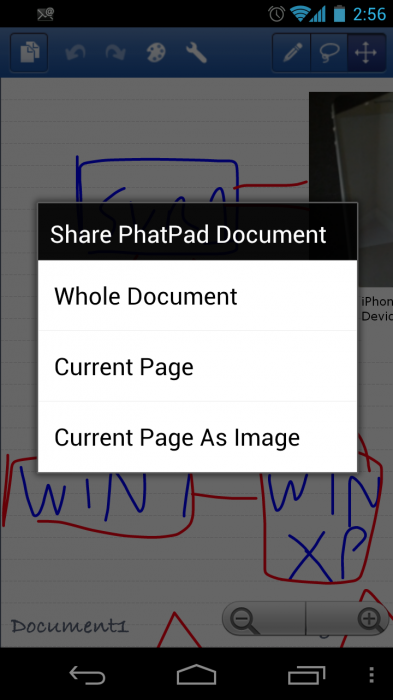 PhatPad allows users to take notes, memos, voice recordings, drawings, or images and share them directly with Dropbox, making it a very useful collaborative tool. Note taking is also made easy by the handwriting recognition software built into the application. Ability to add handwritten text, images, voice recordings, and digital text, all together on the same page to enhance the content of the note. The first thing you notice about PhatPad is how intuitive it is. 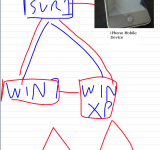 The options are hidden until you need them, in order to maintain the screen real estate for scribbling or note taking. Just the bare essentials are visible which include a Pen, Selection and Scale button on the right, and a ‘File’ button, along with undo, redo, colour palette and options buttons on the left. It is from the options menu that you can really start having fun. 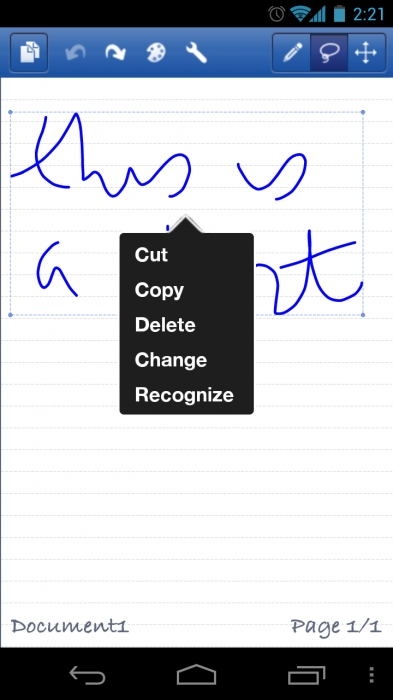 Add an image, insert digital text with your keyboard, detect already drawn shapes, add grid lines and manage the pages you’ve already added to your note book. You can also access some of the more technical options relating to Dropbox synchronisation and Handwriting recognition options from here. It’s fast, speedy and lightweight to use, and it’s simplicity is one of it’s key selling points. This application was tested on a Galaxy Nexus device, and as such was a little less fiddly to use that on some of the smaller devices. 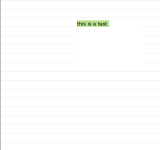 The handwriting recognition was spot on. 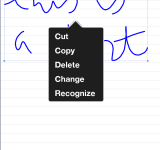 Simply scribe your note, and then use the “selection” tool to select the note, and choose “recognise”. 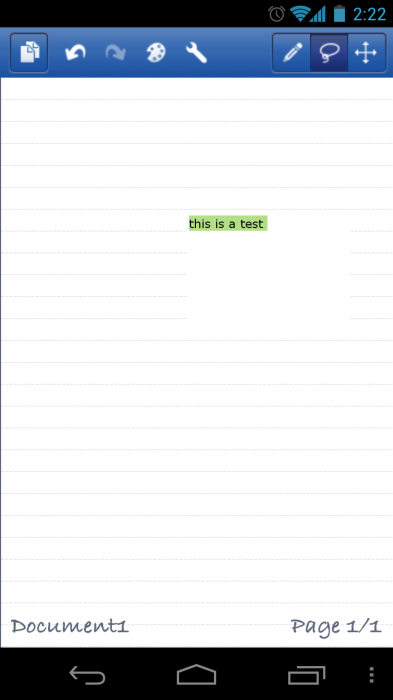 Your note is immediately transformed into digital text. I can imagine this coming into it’s own on the Galaxy Note however as you could really make use of a stylus with this application. 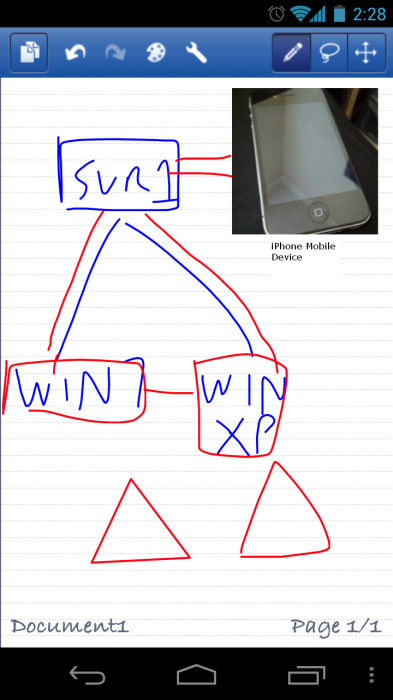 The ability to create a simple diagram (I chose to do a mock up of an example, and fatally flawed by the way, network diagram) and add digital text, shape and handwriting recognition, and images quickly and easily means that this really could be a useful addition to the good old fashioned pen and paper. Adding an image to your masterpiece is just as easy. 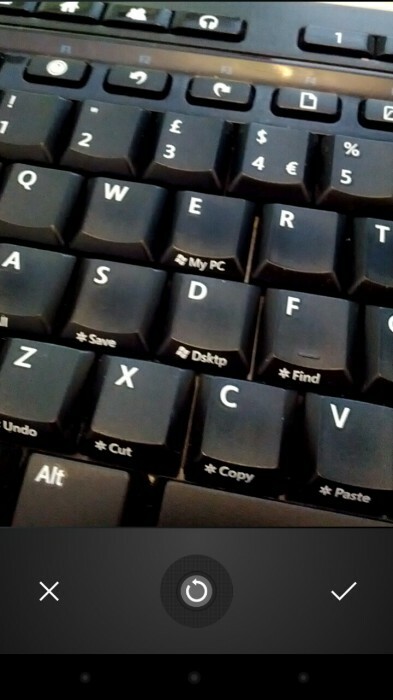 Using the ‘options’ button, choose the “Insert Image” option and browse your gallery or choose to take an image with your camera. 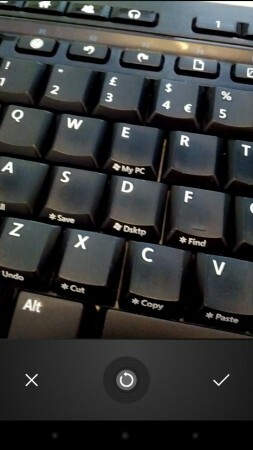 Rather than use the built in ICS camera UI, PhatPad seems to use a simplified version allowing you to simply click an ‘X’ or a tick to determine if you want to insert the photographed image or not. Simplicity itself! Creating a shape is as simple as drawing it with your finger, or stylus, however you can also choose to further define the shape by “recognising” it in the same way as handwriting. Once again by using the selection tool, this time selecting the shape and choosing the “recognise” option, your otherwise curvy edges will become magically straight. Perfect! So my network diagram (you wouldn’t want to be sat in this network would you!) now encompasses some notes, shapes (recognised and otherwise) some handwriting recognition and an image. Once you have taken the notes or drawn the images you want, you’ll want to share them with somebody. There are a couple of options here. 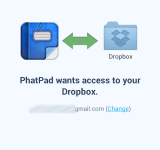 PhatPad comes complete with the ability to synchronise your creations with Dropbox. 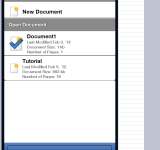 Simply link the two applications and then choose to synchronise the documents from the ‘File’ button menu. 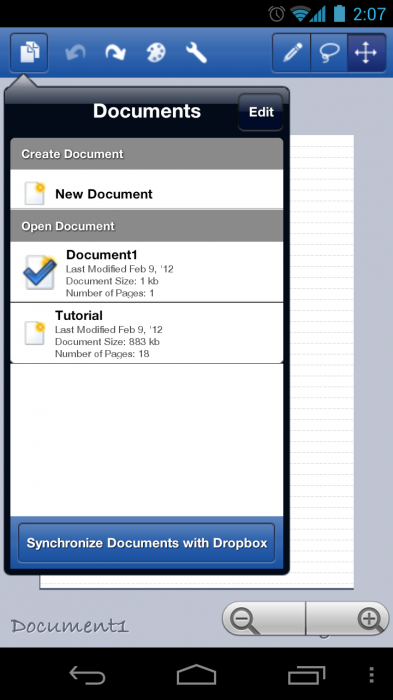 This will sync the document(s) to Dropbox as a .pwd file and can be picked up by anyone who the folder has been shared with. Handy eh? 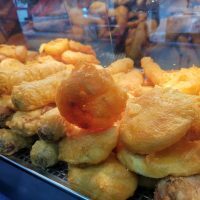 Alternatively, sharing can be completed by clicking on the menu button at the bottom right hand corner, and choosing ‘share’. 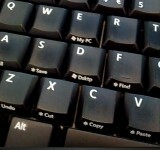 This brings up the standard sharing prompt that Android users will be used to. 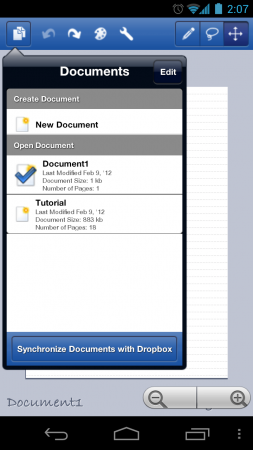 From here users can choose to share to Dropbox, Gmail, SMS or a local Mail client, as a PDF file. If choosing to email, options for how the email is structured and signatures attached can be edited in the options menu. It’s clear to see that PhatWare, having had success with this application on the iOS platform already, are looking to cash in on the sheer volume of Android devices out there, and I fully believe they can do it. With this being an initial release, and with more features to be ported from the iPad version, we look forward to revisiting this application again at it’s next milestone release. 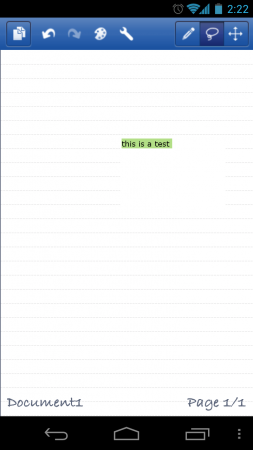 The simplicity as mentioned above, in creating documents and sharing them with ease also, really makes the application stand out from others of it’s kind. Those of you with Android Tablets, or the Galaxy Note could do worse than give this application a try. With the larger real estate, and the promise of more enhancements to come, we can see this application really taking off on this platform. 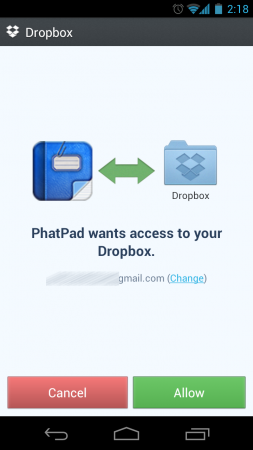 PhatPad is currently available for £3.99 from the Android Market or a 24 hour trial version is available from PhatWare’s site. For more information on the product and more screenshots, visit PhatWare.com. 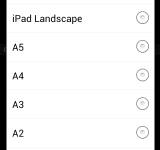 iPad 3 event coming in early March?